A successful mass migration to the cloud requires every department at an organisation to be on board. The era of mass migration to the cloud is upon us, as organisations drive towards digital transformation. CIOs recognise the need to look beyond moving a workload at a time and embrace cloud migration at scale. Businesses are demanding more from their IT departments — more innovation, more change, greater agility and speed — and a programme of migration to the cloud is the enabler. Yet upscaling to this extent requires a change in mindset, and not only for the IT function. Mass migration will have an impact on the whole organisation. So if your IT department doesn’t want to be left behind in the race to digital transformation, then make sure you take these five critical business groups with you on your journey. Migration to the cloud will have a big impact on finance. This isn’t just in relation spending on IT, but the financial model that is used across the wider business and the CapEx to OpEx implications that come as a result of a ‘consume as you go’ approach. CFOs will have the option to attribute any consumption in the cloud directly to a line of business, rather than putting ‘IT services’ against an overhead line. Now the infrastructure can be related directly to the business application, giving much more visibility into the costs of running that product or department. What’s new for Chief Financial Officers? : It’s a much less predictable purchase process that must take into account the value of the investment to the business as a whole. The cloud presents procurement with the challenge of completely re-thinking an established way of working. Used to dealing in supply chain procurement buys at a massive scale, with discounts front of mind — and infrastructure is no different, typically buying everything upfront for the next five (or more) years. But the rules of engagement for procurement change for a cloud migration. The focus is on having the flexibility to buy only what is needed, when it’s needed, under a master agreement. The key is to help procurement understand that ambiguity is a good thing during the initial cost setting phase as the risk is much smaller than in physical infrastructure, as you’re optimising and fine-tuning continuously. The procurement team is invaluable to you as there will likely be current licensing in place for legacy applications where renegotiation will be required. Work alongside your procurement team and allow them to play to their strengths of negotiation and generating value. What’s new for Chief Procurement Officers? With the cloud, you’re not bulk buying at a discount, the real savings come from re-architecting how you work with public cloud providers. Under a cloud model, business continuity and disaster recovery (DR) change massively. You move into a world where DR is configured as exact copies via scripts and sits idly, paying a minimal amount until your organisation needs that capacity. It also changes the business dynamic on security and removes a big compliance issue. Hyperscale providers are highly certified and invest heavily in security in a way that few organisations could with their own infrastructure. Risk mitigation is built into the cloud offering, with continuous refreshing of patches and underlying hardware, high-level encryption, with auditing carried out at source. The job for the CIO is to focus on how the building blocks of a mass migration to the cloud are put together so that any configuration does not leave security holes. What’s new for Compliance? The cloud means you need to move from a ‘test’ to trust mind-set which can require a huge cultural shift. The shift from CapEx to OpEx that comes with the cloud is one that needs to be controlled. For CapEx outlays, controls are seldom required after purchase, but for cloud-based services costs can fluctuate and there’s a risk these will nudge up over time if they are not monitored or continuously optimised. It’s a risk that needs to be managed at a corporate level, as it’s difficult to forecast accurately without the right governance. Outcomes need to be monitored against the original intent and optimised as you go. Your public cloud consumption is governed by a master agreement and legal should ensure this is adequate upfront. 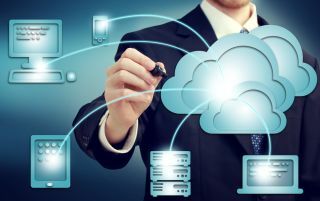 However, if additional internal governance rules to use cloud are too strict and there is an approval route for every element of a project, this will inhibit the ability for the IT team to innovate quickly. IT needs to work with corporate governance teams to strike the right balance; delegating authority and monitoring effects to balance control with innovation. What’s new for corporate governance officers? Ensuring compliance with cloud procurement framework requirements (such as G-Cloud for public sector organisations) and building flexibility so you can balance control with innovation. Under a cloud mass migration, the traditional roles within IT will change. Thanks to automation, some roles, such as testing, will reduce and there’s a requirement for far greater commercial awareness. Everything you ‘scale up’ suddenly has a cost attached to it and technicians can lose sight of this. People will need to reskill to understand the services in the cloud and how to manipulate them. For many this reskilling creates the opportunity to grow into a new role. Yet it is culturally that mass migration will force a significant change, particularly in organisations that are particularly bureaucratic. Working with HR will be vital to manage such a cultural shift for established teams, communicating what this means for the department, promoting the opportunities it offers and ensuring a supportive and enjoyable working environment. What’s new for the Chief People Officer? The provision of training will be key. Not just in cloud architecture but also in management skills. While it is tempting to play down the changes required via internal communications, get advice from your cloud or integration partners on how upskilling has worked in other companies. If they’re worth their salt, they should be able to provide the training. As with anything important, success does happen in a vacuum; efficient collaboration is vital and moving your business en masse to the cloud is no different. My advice to CIOs is to be mindful of the priorities and pressures of your peers in other functions. The cloud gives the CIO the opportunity to create a new operating model for their part of the business and beyond. It requires an agile way of working from those who may be new to the concept. Not everyone will feel empowered to embrace it so the sooner you can educate them on what’s required from their teams, the sooner you can all begin heading in the same direction, in the same way.